Blooms of blue-green algae at a major New Hampshire lake have prompted a warning; here's how you can spot it yourself. 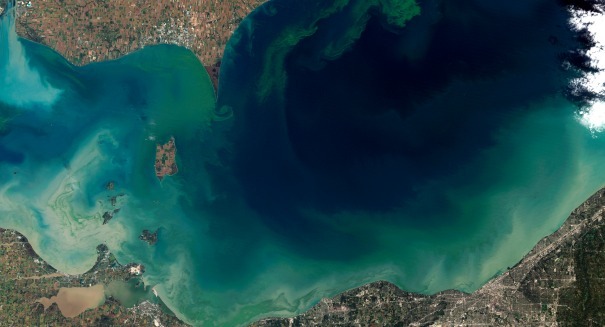 As we recently reported, authorities are issuing warnings to the public after finding elevated levels of algal blooms, more specifically that of blue-green algae or cyanobacteria. But what exactly is this substance, what makes it so dangerous, and how on Earth do you spot it? New Hampshire officials issued a warning after detecting a threshold of 70,000 cells per milliliter for cyanobacteria in samples collected from Lake Monomonac on July 17. The largest of the blooms were found near the shore, and it was likely caused by an excess of phosphorus in the water. Excessive exposure to cyanobacteria may result in only mild symptoms, like skin irritation. But it can lead to potentially more serious complications, like liver damage. Blue-green algae produces neurotoxins, cytotoxins, hepatotoxins, and endotoxins. Exposure to high levels can even cause amyotrophic lateral sclerosis, or ALS. In fact, people who live within a half mile of such contaminated lakes have a 2.3 times greater risk of getting ALS. How do you spot it? Blue-green algae looks just how it sounds, and often resembles a blue-green paint that has been spilled into the water. If you see a pea soup-like substance or foam that floats on the surface, that can be a telltale sign.